Assessment of compliance is an important service for companies producing food of animal origin both within the EU or in Third Countries exporting to the EU. 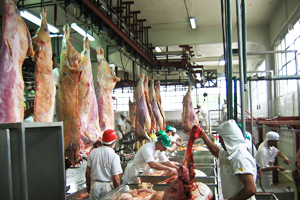 Examples: Fish processing facilities, slaughterhouses, cutting plants, meat processing plants and dairy plants. A comprehensive training and technical assistance support for laboratories, such as accreditation (ISP17025), laboratory business plans and method implementation. We are supply furthermore consumables and equipment. Draft legal frameworks can be developed for food safety, animal health, veterinary public health, animal feed and veterinary medicinal products including an EU conform veterinary framework act. Assistance and assistance for the implementation of the legislation is an integral part of this service. 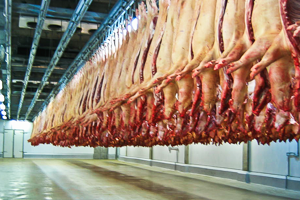 The first one is a new slaughter technique for artisan slaughter which however does fulfil all EU requirements in this field. Recent investigations have verified that the hygiene of meat greatly improved by this method. This new equipment which has been developed, is designed for slaughtering cattle in small slaughterhouses. 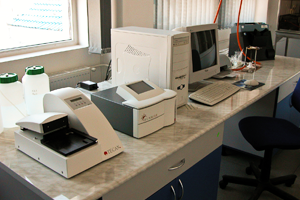 The second equipment is for standardized sampling of bacteria from surfaces. This equipment is used to sample meat surfaces, but also equipment, walls, floors, etc.